Do you need a little help pulling it all together? At Chameleon, we have a team of on-staff decorating consultants that can help you to design your custom home décor project. We understand that decorating is about more than choosing furniture and fabrics. Your home should reflect who you are, and should feel comfortable and suited to fit your lifestyle. We want to help you to pull out these details and work them into your vision for your home. 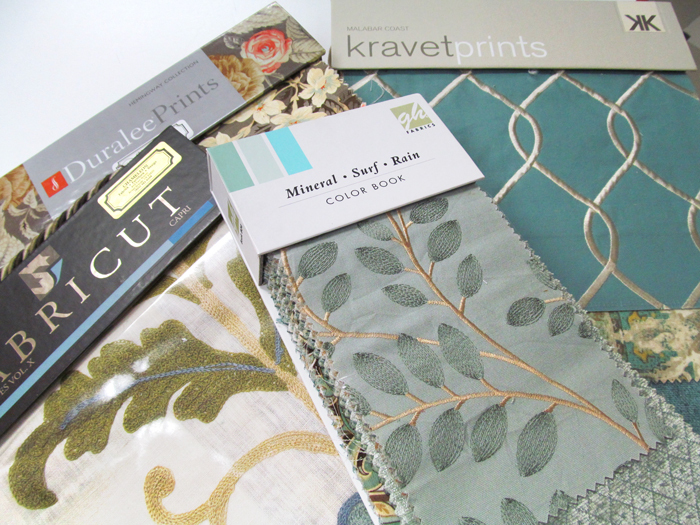 A large selection of in-stock decorator fabrics, as well special order options from an extensive in-store library. A full sewing and upholstery workroom to create cushions, pillows, bedding and much more! Color and fabric matching consultations. 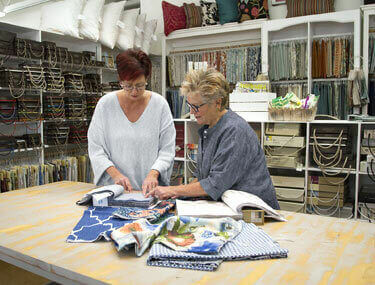 Help with “soft” furnishings including fabrics and rugs, accessories and colors to pull together a room or an entire house. Custom furniture options, including Chameleon Fine Furniture™ (Slipcovered Furniture without the Slip!). Chameleon Fine Furniture™ is our own unique line of slipcovered furniture that we manufacture in Arroyo Grande on the Central Coast of California. You are welcome to speak to one of our decorators to discuss options if you’re really not sure where to start. Walk-ins are welcome, or you can make an appointment with one of our consultants by calling (805) 481-4104. If there’s a specific fabric you’re searching for, we may be able to help you find it (or something similar) with our fabric resources.